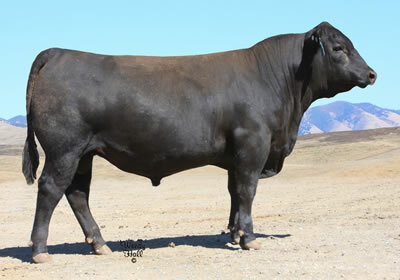 Pictured is EXAR Lass 2684, Grand Dam of 136. Westwind Lass DJH 136 is a daughter of Lass 7247, who has an impressive average weaning ratio of 117 on her first two calves. 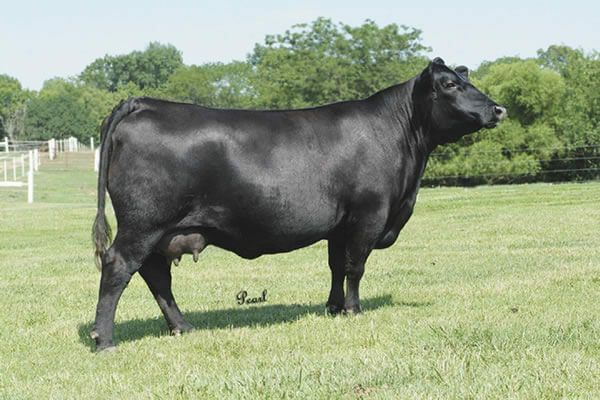 7247 never misses, her first son was Champion bull and high seller at the 2010 Cal Poly Bull Test, her second son was high seller at the California Angus Breeders sale in 2011, and her others sons were high sellers at the 2014 bulls for the 21st century sale in Nevada. This cow family traces to many of the legendary ,Leachman Lass 1004, who at one time had more sons in major AI studs than any other female in the breed. This family continues to consistently produce some of our most impressive cattle.